Does your router need upgrading? Want to improve your productivity & efficiency? 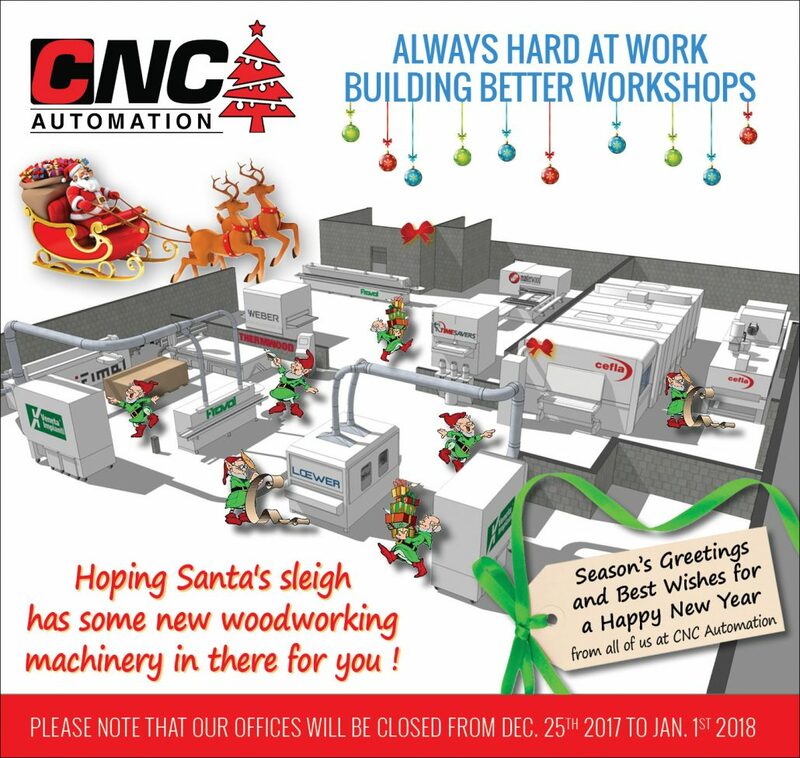 http://www.cncautomation.com/wp-content/uploads/2016/11/Thermwood-Retros_Nov2016.jpg 417 600 admin http://www.cncautomation.com/wp-content/uploads/2018/02/Logo284x104.jpg admin2016-11-01 14:02:042017-05-12 15:21:54Does your router need upgrading? Want to improve your productivity & efficiency? 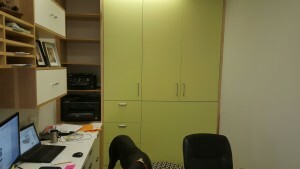 In only a few weeks, with this new Building Better Workshops Solution consisting of a Thermwood CS43-510 and e-Cabinets software, Ben the owner has re-design his office with modern cabinets and finishes. 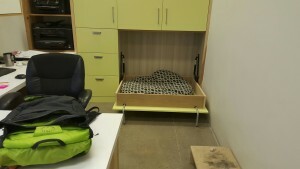 He even built a Murphy bed for his dog!!! 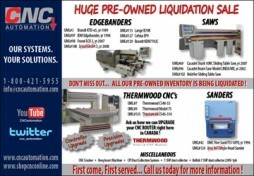 DON’T MISS OUT… ALL OUR PRE-OWNED INVENTORY IS BEING LIQUIDATED ! A NEW PARTNERSHIP IS BORN ! 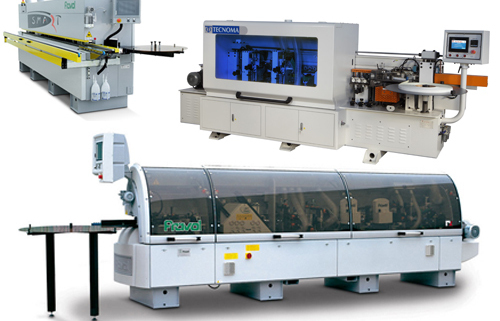 CNC AUTOMATION & CEFLA have partnered up to offer you a wide range of finishing solutions! 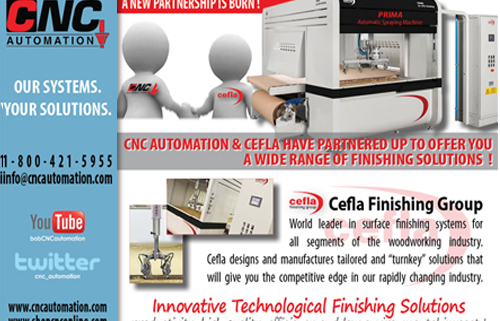 Cefla Finishing Group is the world leader in surface finishing systems for all segments of the woodworking industry. They design and manufactures tailored and “turnkey” solutions that will give you the competitive edge in our rapidly changing industry. http://www.cncautomation.com/wp-content/uploads/2014/09/Cefla-Sept2014.jpg 357 500 admin http://www.cncautomation.com/wp-content/uploads/2018/02/Logo284x104.jpg admin2014-09-15 20:17:342014-12-02 20:51:47A NEW PARTNERSHIP IS BORN ! 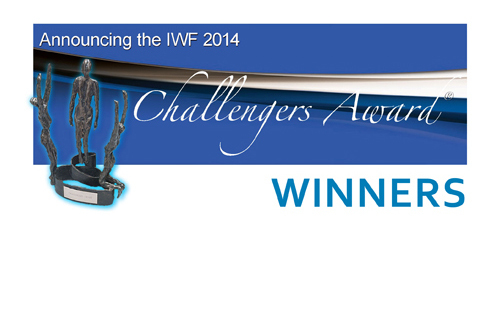 CNC Automation is proud to announce that the Thermwood Cut-Center and Timesavers YieldSaver 24 are both winners of the prestigious IWF Challengers Award. The Thermwood Cut-Center is a new class of machine that takes a totally different approach than traditional nested based CNC routers. The Timesavers YieldSaver 24 is designed to produce a high yield with its automatic centering infeeds. 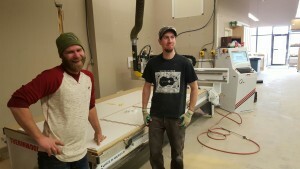 Welcoming Tecnoma to the CNC Family ! 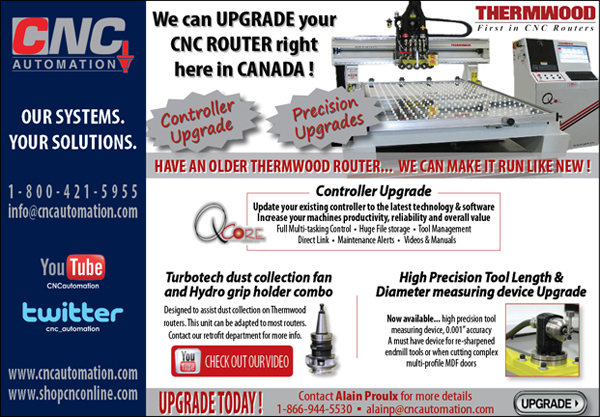 CNC Automation is proud to announce that we are now the exclusive Canadian distributor of second generation AB series Tecnoma edgebanders and replacement parts. Servi-tech Prestige is the exclusive Canadian distributor of replacement parts for existing first generation Tecnoma edgebanders (KT, NT and XT series). Several models of edgebanders are in stock and available for immediate delivery. 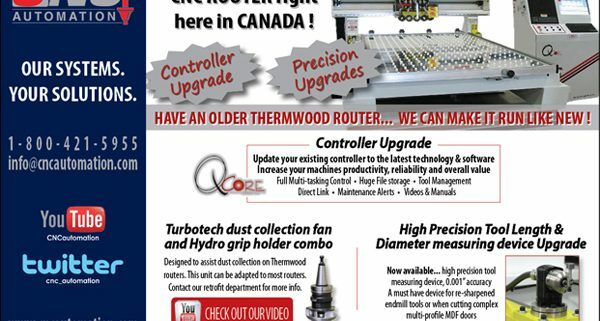 CNC Automation est fier d’annoncer que nous sommes maintenant le distributeur canadien exclusif de plaqueuses de chants et de pièces de remplacement Tecnoma pour les modèles de la série AB (deuxième génération). Plusieurs modèles de plaqueuses en inventaire, livraison immédiate disponible. http://www.cncautomation.com/wp-content/uploads/2014/05/tecnoma-family.jpg 357 500 admin http://www.cncautomation.com/wp-content/uploads/2018/02/Logo284x104.jpg admin2014-05-23 20:06:162014-12-02 20:52:24Welcoming Tecnoma to the CNC Family !